Update: Post Updated with 5 days Config to expire December 17. KPNTunnel Rev Configuration File for MTN Free Internet has been provided for the first time on UcheTechs Blog. It is faster, more stable and connects with delay. 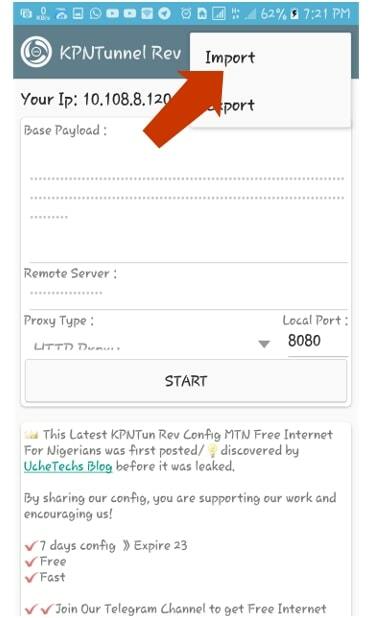 Note: Read the Post till the end, do not rush to download the MTN Free browsing Config because questions asked by users and already answered below will not be replied by me. For sure, we know you are still enjoying MTN Free browsing with HTTP Injector Config and Tweakware VPN. The config Files were available for 7 days and is expected to expire on the 17 of September 2018. I will update all the config for another 7 days and this will make the config faster and more stable. In case you need to know, the reason I create 7 days configuration file for MTN Free browsing instead of 14 days or more is that of the SSH Server. 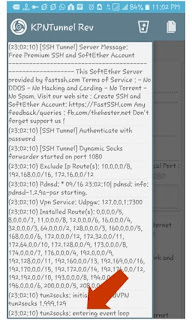 If I should extend it, it will become slow because the number of users connected to the SSH account is much. So a 7 days MTN N0.00 Config will be closer to renew than a 30 Days or lifetime config. 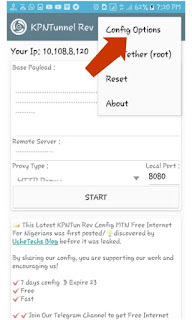 KPNTunnel Rev Config for MTN Free browsing is similar to HTTP Injector app. All you have to do is; Import, read the important info inside the VPN and then connect. Simple as ABC. Also, this MTN Free browsing using KPN Tunnel Revolution isn't unlimited but capped at 1GB per day, that is something useful and it's worth being called unlimited because some doesn't use up to that a Day, personally, i don't. 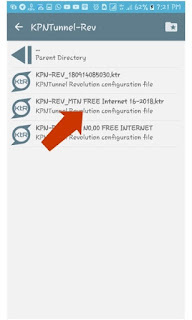 These are the Important requirements, below contains how to Import and connect your KPNTunnel Rev MTN Free Internet for downloading, browsing and streaming 2018. 5. Again, tap on Import and locate the folder of the Configuration file you downloaded above. 6. Ones did, you will get Import Successful. Finally, hit Start and Wait for KPNTunnel to connect - Use the Log info to see the connecting status - My config connects in 2 Sec. >> There are various ways to use Pdanet. >> I use USB Tether on my Phone. 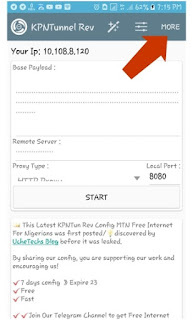 How it works is that you will connect a USB from your Phone to PC and then use HTTP Injector Internet access on your PC. >> WIFI allows you to connect directly without USB. i.e Hotspot Mode. Join our Telegram Group for some important updates. Ask questions after this post!. have a nice day.